A pōwhiri at the Metropolitan Cathedral of the Sacred Heart of Wellington, on Monday 27 February, welcomed Deacon Danny Karatea-Goddard and his wife Maru Karatea-Goddard to the Archdiocese of Wellington for Danny to begin his new Tūranga Māori appointment. Hundreds of whānau, students, staff and friends from the Diocese of Palmerston North and beyond, travelled to join people from the Archdiocese of Wellington, local Māori communities and Te Kahu o Te Rangi, to witness and support the Bishop of Palmerston North, Bishop Charles Drennan, hand over Danny as Tūranga Māori and Maru to the Archbishop of Wellington, Cardinal John Dew. 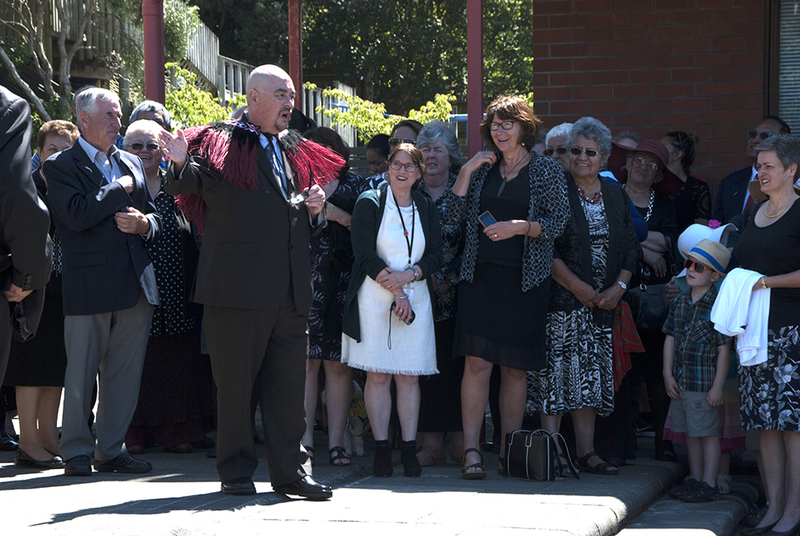 Throughout the gathering there were mihi, waiata and karakia. Welcoming Danny, Maru and all of their many supporters, Cardinal John said, ‘This role you are taking up in the Church of Wellington is very significant for all of us. The New Zealand bishops announced in early February that Deacon Danny Karatea-Goddard will also be taking on a new part-time role with Secretariat for Te Huinga o ngā Pīhopa Katorika o Aotearoa – the New Zealand Catholic Bishops Conference, supporting the secretariat and the bishops in their commitment to Katorika Māori. 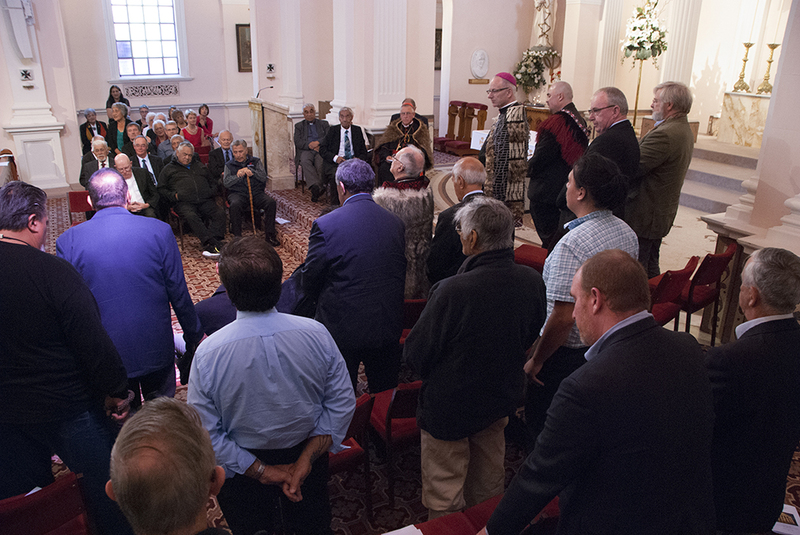 ‘This is a highly significant appointment which deepens the bi-cultural partnership of the Church in Aotearoa and further recognises the considered advice of Te Rūnanga o te Hahi Katorika ki Aotearoa on the great need to strengthen the place and space of Māori in the Catholic Church,’ said Bishop Patrick Dunn, President of the NZCBC. 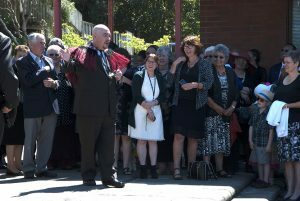 Bishop Drennan, Secretary of the NZCBC, said ‘Deacon Danny together with his wife Maru and whānau have been a tremendous blessing to the Diocese of Palmerston North, particularly since Danny’s ordination to the Diaconate. 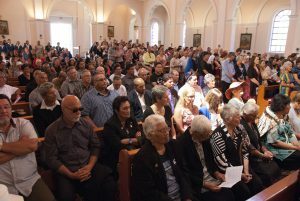 Danny’s gift of articulating Catholic Māori thinking and illuminating faith at work among Māori will be of invaluable help in our formation as Bishops and our ability to shepherd tangata whenua.